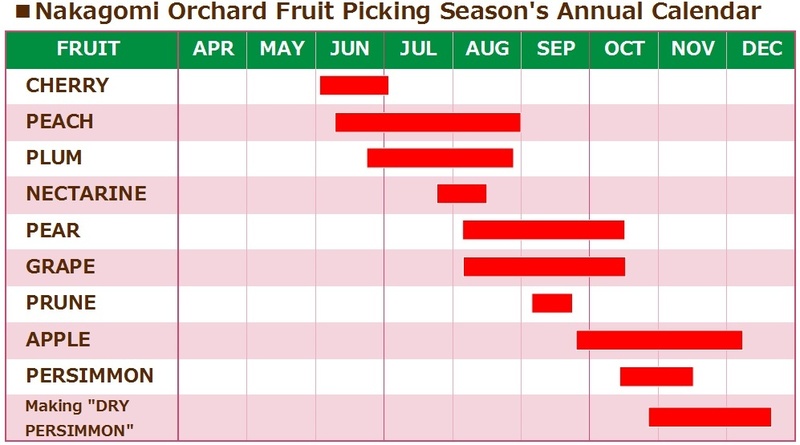 We usually start our cherry picking in the beginning of June and go on until the beginning of July. Even when it is a rainy day, you can enjoy cherry picking because all the cherry trees are grown inside the green houses. We usually start peach & nectarine picking around 10th of June and go on until the beginning of September for over two months every day. Yet, the best season for peach picking is usually between the middle of July and the middle of August. 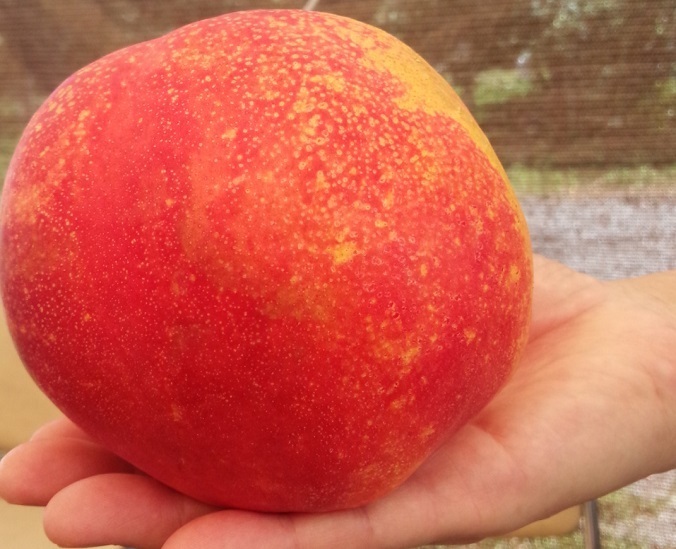 We usually start our nectarine picking in the end of July and go on until the middle of August. For our plums, we usually start around June 25th and continue until the end of August. For our prunes, we usually start around September 10th and go on until the 20th of the month. We usually start around August 10th and continue until the middle of October. For our apple picking, we usually start around 20th of September and go on until the beginning of December every day. For our pear picking, we usually start around August 20th and go on until the beginning of November. Our persimmon picking usually starts in the middle of October and goes on until the middle of November. From the middle of November until the middle of December, we are going to make our sweet "dry persimmon" at our BBQ site.